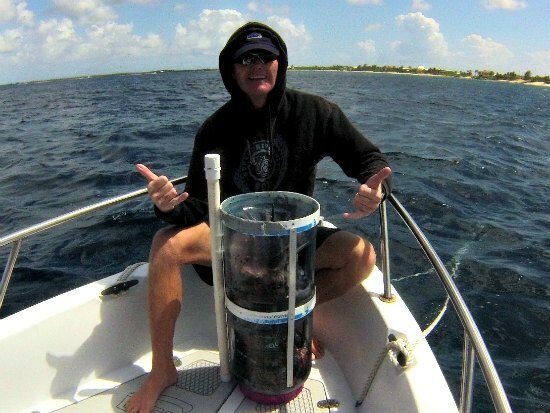 Me on the bow of our boat with a container full of lionfish. 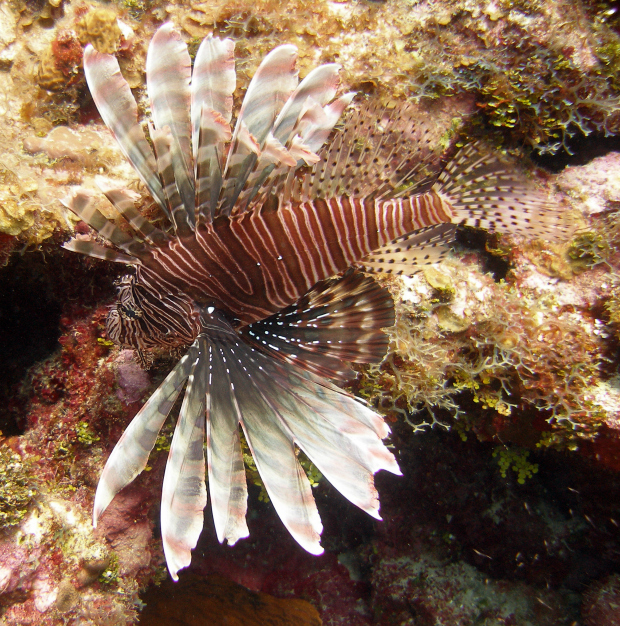 Lionfish came to Grand Cayman in 2009 and we spotted our first one here in September of that year. 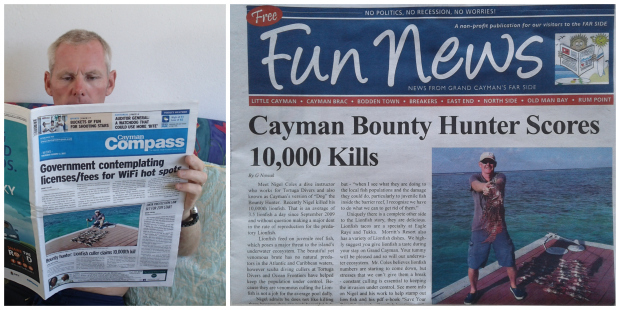 However, I didn’t start recording my kills until 17th June 2010. 2009 = Zero (I didn’t start recording my kills until June 2010). My best ever total on one dive was 54 lionfish. On two dives it was 82 lionfish and on three dives it was 98 lionfish. 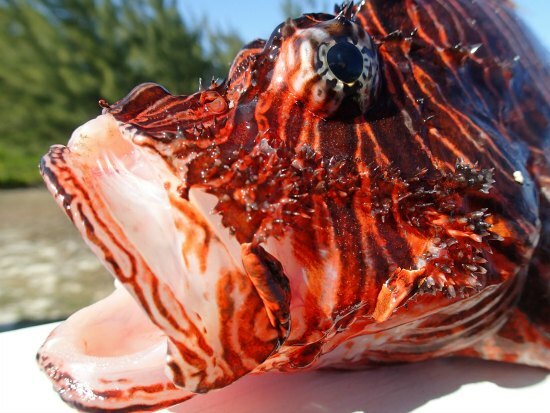 The highest poundage I ever caught was the day I caught 98 lionfish, they weighed a mighty 84 pounds. And my best monthly total was 402 lionfish in July 2016. We have found that over the years the lionfish we saw on average did get bigger and bigger, however, this did change in 2014. From then we now seem to see less small and large individuals, with the majority now being medium size. However, in 2017 we saw a big change in the number of lionfish on our reefs. We are seeing far fewer than previous years, but so far we do not know why??? When we know the reason for sure I’ll let you know. And 2018 is continuing how 2017 ended with not many lionfish sightings and therefore very few kills. 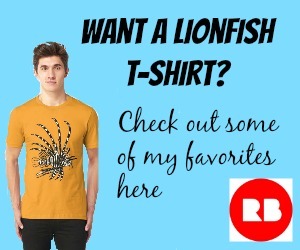 Small lionfish are less than 6 inches long. Medium lionfish are between 6 and 12 inches long. Large lionfish are over 12 inches long. 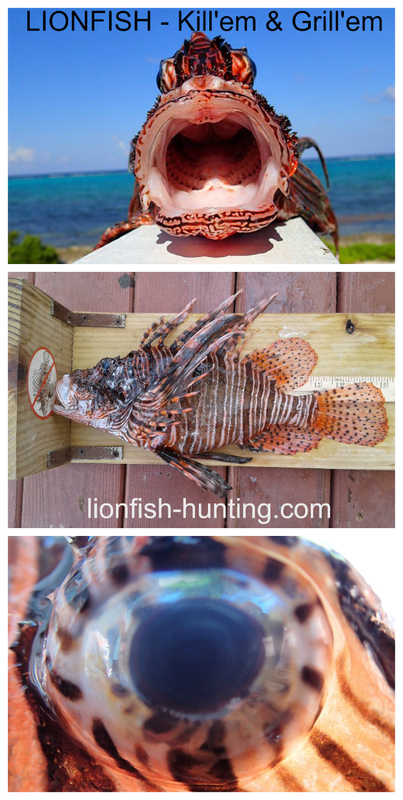 The way our DOE measure the lionfish is a little different to the way they are measured for the official country and world records. The Cayman DOE measure the lionfish, excluding the tail, while the official island and world records measure the WHOLE fish. And finally, if you want to catch lots of lionfish like me then it helps to have good air consumption. 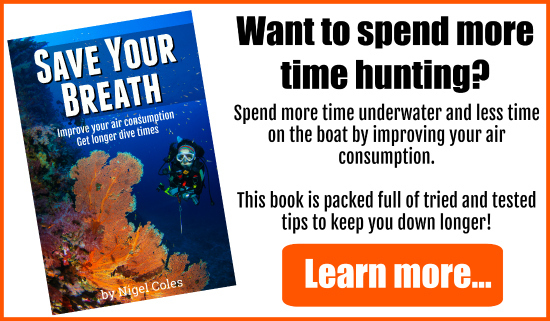 If you can improve your air consumption on each dive then you’ll get better value for money AND have more time to catch more lionfish. 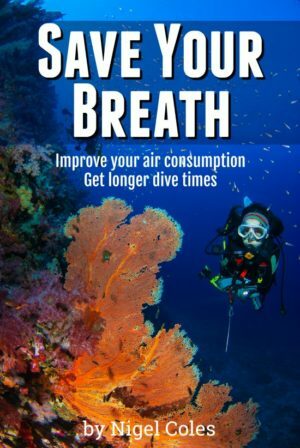 So why not buy MY pdf ebook Save Your Breath which highlights dozens of ways to improve your air consumption – click on the link here for Save Your Breath and read all about it. 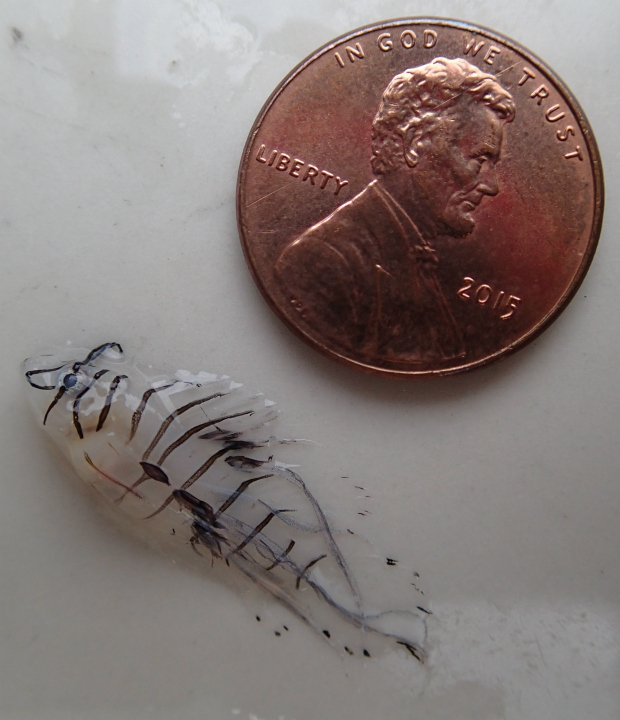 2 Responses to How many lionfish have I caught? Great website and information!! Always a pleasure to dive with you at Tortuga Divers! !